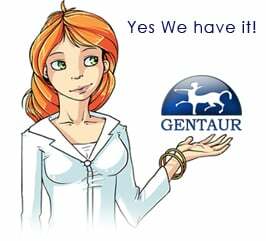 Gentaur antibody-antibodies.com The Marketplace for Antibodies : The Role of p38 and CK2 Protein Kinases in the Response of RAW 264.7 Macrophages to Lipopolysaccharide. The Role of p38 and CK2 Protein Kinases in the Response of RAW 264.7 Macrophages to Lipopolysaccharide. The role of protein kinases p38 and CK2 (casein kinase II) in the response of RAW 264.7 macrophages to the lipopolysaccharide (LPS) from gram-negative bacteria was studied. Using specific p38 and CK2 inhibitors (p38 MAP kinase Inhibitor XI and casein kinase II Inhibitor III, respectively), we investigated the effects of these protein kinases on (i) LPS-induced activation of signaling pathways involving nuclear factor κB (NF-κB), stress-activated protein kinase/c-Jun N-terminal kinase (SAPK/JNK), p38, and interferon regulatory factor 3 (IRF3); (ii) expression of Toll-like receptor 4 (TLR4) and inducible heat-shock proteins HSP72 and HSP90; and (iii) production of interleukins IL-1α, IL-1β, IL-6, tumor necrosis factor α, and IL-10. Activation of the proapoptotic signaling in the macrophages was evaluated from the ratio between the active and inactive caspase-3 forms and p53 phosphorylation. Six hours after LPS addition (2.5 μg/ml) to RAW 264.7 cells, activation of the TLR4 signaling pathways was observed that was accompanied by a significant increase in phosphorylation of IκB kinase α/β, NF-κB (at both Ser536 and Ser276), p38, JNK, and IRF3. Other effects of macrophage incubation with LPS were an increase in the contents of TLR4, inducible heat-shock proteins (HSPs), and pro- and anti-inflammatory cytokines, as well as slight activation of the pro-apoptotic signaling in the cells. Using inhibitor analysis, we found that during the early response of macrophages to the LPS, both CK2 and p38 modulate activation of MAP kinase and NF-κB signaling pathways and p65 phosphorylation at Ser276/Ser536 and cause accumulation of HSP72, HSP90 and the LPS-recognizing receptor TLR4. Suppression of the p38 MAP kinase and CK2 activities by specific inhibitors (Inhibitor XI and Inhibitor III, respectively) resulted in the impairment of the macrophage effector function manifested as a decrease in the production of the early-response proinflammatory cytokines and disbalance between the pro- and anti-apoptotic signaling pathways leading presumably to apoptosis development. Taken together, our data indicate the inefficiency of therapeutic application of p38 and CK2 inhibitors during the early stages of inflammatory response. Inhibition of LPS-stimulated pathways in macrophages by the flavonoid luteolin.